Pro Broadcasters and Video Streaming plans have the ability to include a Q&A field to their broadcast, either on their channel page itself or through their combined embedded player. 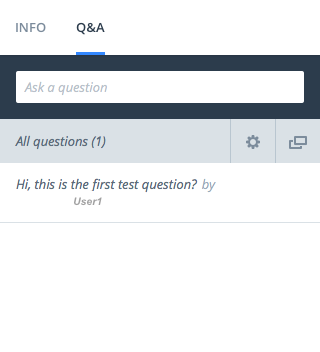 In order to activate the Q&A field, navigate first to your Channel Settings tab in your dashboard, then click on 'Q&A'. On this tab, you can choose to enable Q&A for your channel, and assign extra moderators to answer questions. Note that if you are a Video Streaming user, you may do so by entering the co-moderator's email address or SAML ID. Users who have channel manager status on either an Video Streaming channel or Pro Broadcasting channel, can also act as moderators, without the need to add their email on this tab. 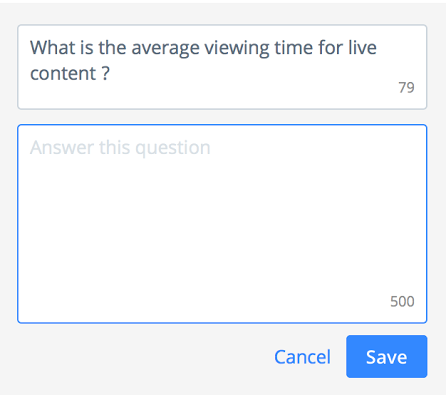 You can also set when questions become visible to all viewers, as well as allow your viewers to vote on questions that they would like addressed by the host. 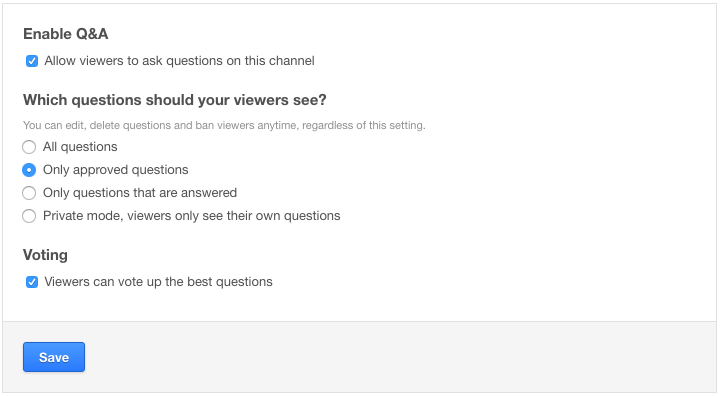 You can choose between allowing viewers to see all questions, only questions that have been approved by a moderator, or only questions that have been answered. Once you have enabled Q&A for your channel, the field will appear to the right of the player. 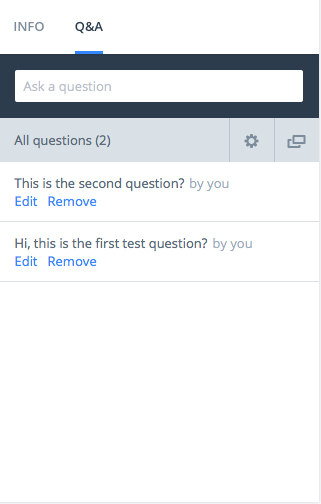 Moderators have the ability to answer or delete questions, and all users have the ability to check back on their questions through the settings icon. In order to activate the polling feature click on 'Viewers can vote up the best questions' in the 'Voting' section. 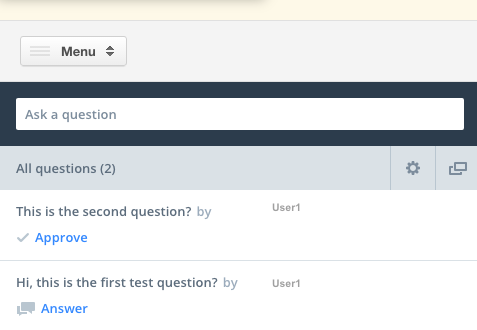 Users will be able to vote once on each question by clicking the grey arrow above the number in the left hand column.